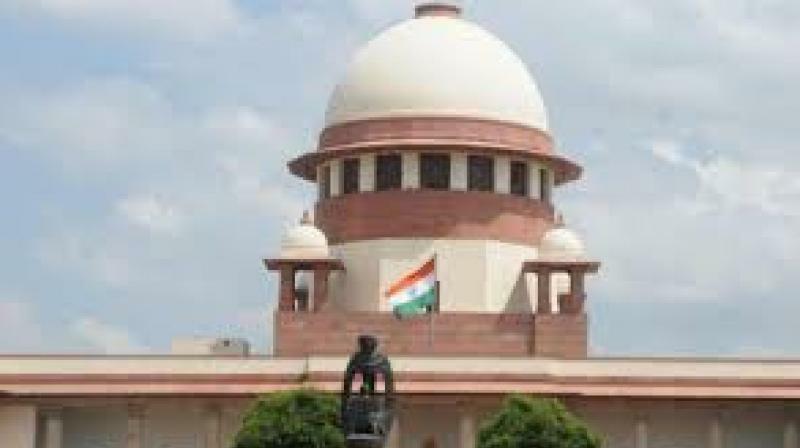 New Delhi: The Supreme Court on Monday directed the Election Commission to watch the full film of the Biopic on Prime Minister Narendra Modi and submit a report to Court in sealed cover by this Friday as to whether its screening can be allowed during election time. In a brief order a three judge Bench of Chief Justice Ranjan Gogoi and Justices Deepak Gupta and Sanjiv Khanna said "Without commenting on merits of the order of the Election Commission, at this stage, we would like the Election Commission or its authorised representative to view the movie and thereafter consider the matter of public screening of the movie once again." The Bench asked the Election Commission to finalise its decision by Friday (19.04.2019) and inform the result to the Court in a sealed cover. "If the petitioner(s) prays for an audience before the Election Commission or its authorised representative, the Election Commission would consider the same and grant such an audience," it said. The Bench passed this interim order on a petition filed by the producers of the biopic alleging that the Commission had passed this ban order without any jurisdiction.